← Sebring Registration is now OPEN! Join us for a one-day performance driving school at the fun and challenging Motorsports Park Hastings (Hastings, Nebraska) track. 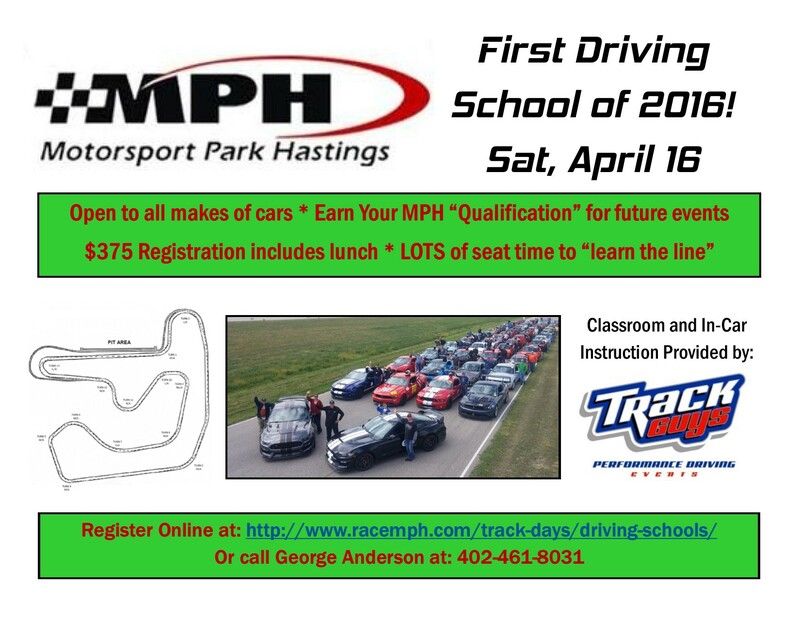 The track is doing their own registration – but Track Guys will be there providing the classroom and in-car instruction. Go here for more information and to register for this fun and lots-of-seat-time event. See you at Hastings! This entry was posted in Track Guys Events and tagged high-performance driving, Motorsports Park Hastings, On-track performance driving, Performance driving. Bookmark the permalink. Can’t wait. MPH is a great facility. Track Guys provide great instruction. Should be awesome.